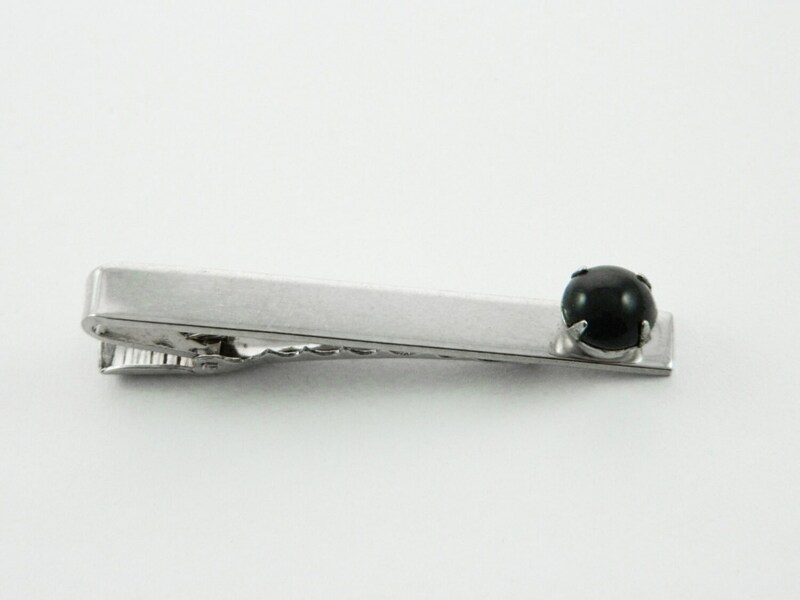 Silver Tone Tie Clip with Black Cabochon. Vintage Warehouse stock, never worn. Minimal surface scratches.